In the world of Jurassic, J.A. Bayona is the new kid on the block. As the director of Jurassic World: Fallen Kingdom, the young auteur worked alongside the original film’s director, Steven Spielberg; the previous film’s director, Colin Trevorrow; the franchise’s longtime producer, Frank Marshall; and so on. It may seem like he was just a hired gun, but every step of the way, Bayona made sure made Fallen Kingdom very much his own. Despite the beyond-gigantic blockbuster status of Jurassic World, its sequel is a smaller, more personal Jurassic tale, with moodiness to spare and pathos around every corner, but still with the special effects and action one expects from the franchise. 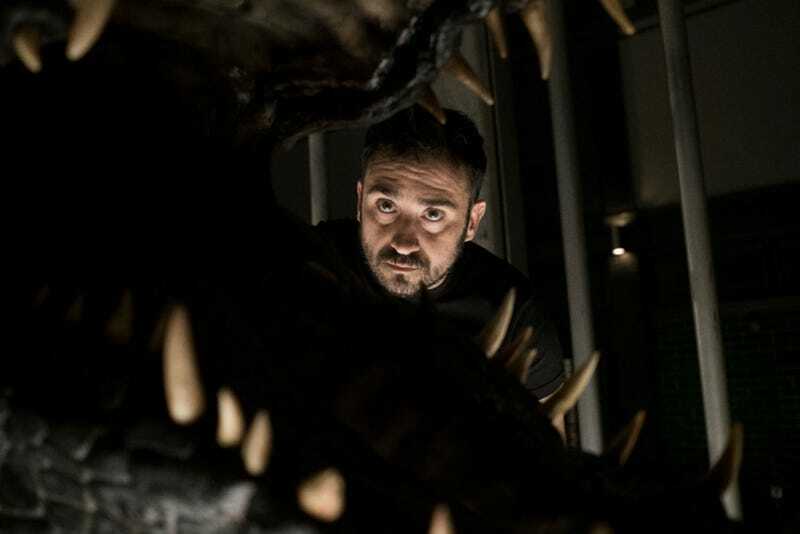 Bayona — the award-winning director of the real-life disaster movie The Impossible, based on the 2004 Indian Ocean tsunami — put his stamp on everything in Fallen Kingdom, even in some more surprising ways. One such example? Those infamous high heels. But that’s just one silly example of Bayona’s authorship in Fallen Kingdom. The whole process began long before that, with the decision to bring him onto the project. That happened because Trevorrow loved Bayona’s first film, The Orphanage. Dinosaur in a bedroom is classic Bayona. So while the first half of Fallen Kingdom has the kind of massive set-pieces and action one may expect from a Jurassic Park movie, the second half is the opposite. It works not just because that’s Bayona’s forté, but because he felt it stayed true to the original film. Everything about Jurassic World: Fallen Kingdom is a balance between action and suspense, and horrifying and family-friendly moments — and, maybe most importantly, the fact that it’s both a Jurassic Park movie as well as a J.A. Bayona movie. Also freeing: the fact that Fallen Kingdom is the second entry in a trilogy, and Bayona isn’t writing or directing any of the other films in the series. He took full advantage of that. What’s that around the corner? Another Jurassic World. Instead, he’ll leave that to Jurassic World 3 director Colin Trevorrow. In the meantime, Bayona isn’t looking for Fallen Kingdom to totally change his career.